EQUESTRIANS, HOBBY CAR ENTHUSIASTS, CONTRACTORS ETC.! This setback 500′ lovely open concept cape offers a wonderful floor plan large eat in kitchen w/granite, stainless appliances, island cooktop, 1st fl laundry and full bath. Open floor plan hosts the dining rm, living/family rm featuring a fireplace with pellet stove which opens into large 3 season sunroom & oversized deck. Large hardwood staircase leads you to 2nd fl which has cathedral ceiling master w/skylight & it’s own deck overlooking nicely landscaped grounds and inside balcony overlooking 1st floor. 2nd fl also has 2 additonal bedrooms and full bath. Finished basement not in GLA. Large patio w/peaceful views. 45’x45′ barn & 100′ x 70′ paddock off barn, 16 acres (approx 3 usable) woods & wetlands. Barn has 2-4 stalls & storage, also area for hobbies/carpentry & storage of yard equip. Outside water available seasonally, new septic. HURRY THIS IS SHARPLY PRICED & GREAT VALUE. Disclosures: Contingent Upon Sellers Finding Suitable Housing. Please, send me more information on this property: MLS# 72474611 – $589,000 – 531 Newburyport Tpke, Rowley, MA 01969. 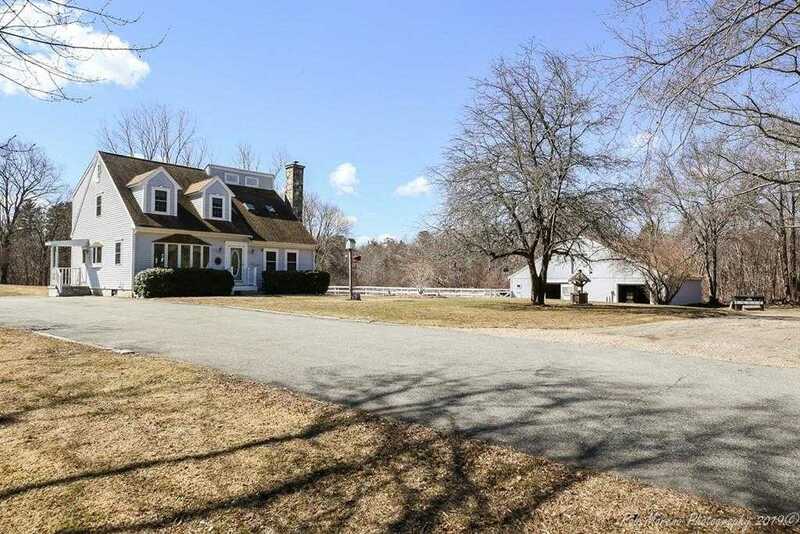 I would like to schedule a showing appointment for this property: MLS# 72474611 – $589,000 – 531 Newburyport Tpke, Rowley, MA 01969.